An online article by Ben Miller on Culture24 - That's what archaeology is all about: Mesolithic shaman's necklace in Yorkshire could be earliest art from period found in Britain - reports on the carvings on a fragile necklace found near Scarborough, revealing to archaeologists about the first permanent settlers of Britain after the last Ice Age. 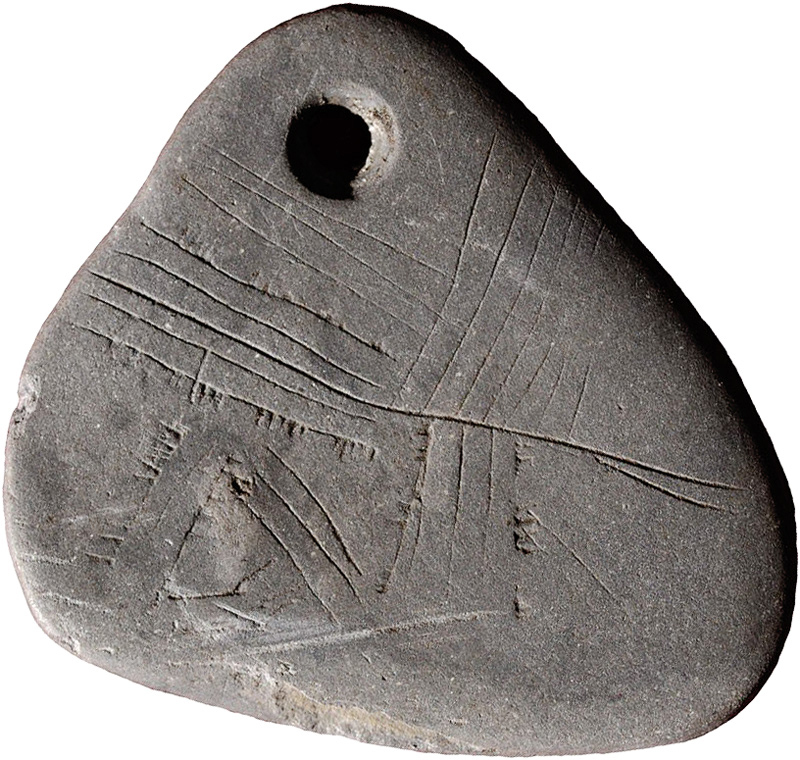 Termed as sensational, the tiny 11,000-year-old pendant found at a famed prehistoric site in North Yorkshire is the earliest known Mesolithic art in Britain and could have belonged to a shaman. The discovery has been published on Internet Archaeology: Milner, N. et al.(2016). 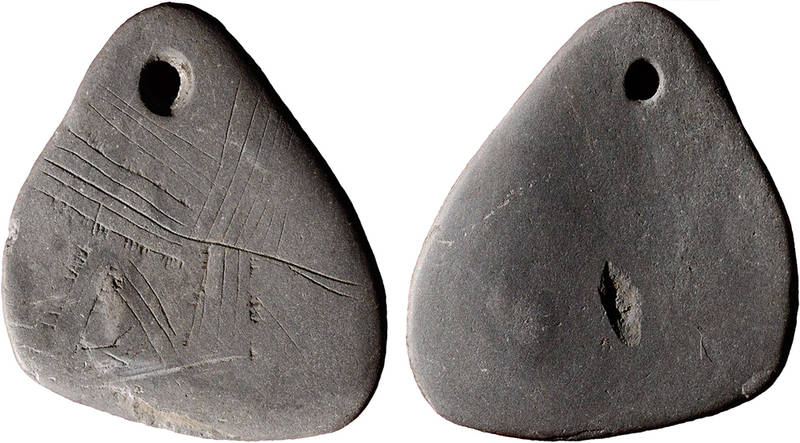 A Unique Engraved Shale Pendant from the Site of Star Carr: the oldest Mesolithic art in Britain, Internet Archaeology 40. Crafted from a single piece into a three-millimetre thick shale containing outlines of a tree, a map, a leaf or tally marks, the fragile piece of jewellery was found by a research team from the universities of York Manchester and Chester. It is the first pendant of its kind to be discovered in Europe. Professor Nicky Milner claims it is unlike anything found in Britain from this period. 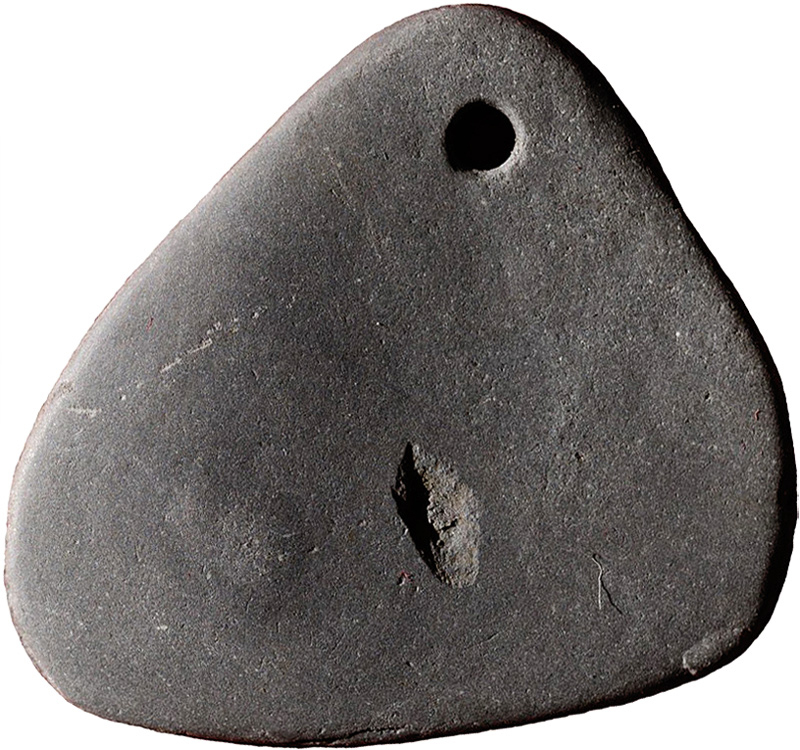 "One possibility is that the pendant belonged to a shaman. Headdresses made out of red deer antlers found nearby in earlier excavations are thought to have been worn by shamans. We can only guess what the engravings mean but engraved amber pendants found in Denmark have been interpreted as amulets used for spiritual personal protection. We can only imagine who owned it, how they wore it and what the engravings actually meant to them. Star Carr, the site near Scarborough where the pendant was excavated, is renowned as one of the most productive Mesolithic territories in the world, with peat bogs helping to preserve hundreds of artefacts made from red deer skulls and antlers." The mysterious lines on the surface of the pendant were barely visible before the team used digital microscopy techniques to observe them through high-resolution imagery. They initially thought it was made of natural stone when they found it in edge deposits from the huge lake which once covered much of the surrounding Vale of Pickering. Dr Chantal Conneller, from the University of Manchester states that this was a time when the sea level was much lower than today. Groups roamed across Doggerland - land now under the North Sea - and into Britain. The designs on our pendant are similar to those found in southern Scandinavia and other areas bordering the North Sea, showing a close cultural connection between northern European groups at this time. Shale beads, a piece of perforated amber and two animal teeth have previously been recovered from Star Carr. The pendant will be put on display at the Yorkshire Museum as part of an impressive showcase of finds from the site including flints, a rare barbed point used for hunting or fishing and 11,000-year-old fire lighters which archaeologists say are "amazingly preserved" in birch bark rolls. The research is part of a five-year project supported by the European Research Council.